A better way to multitask. 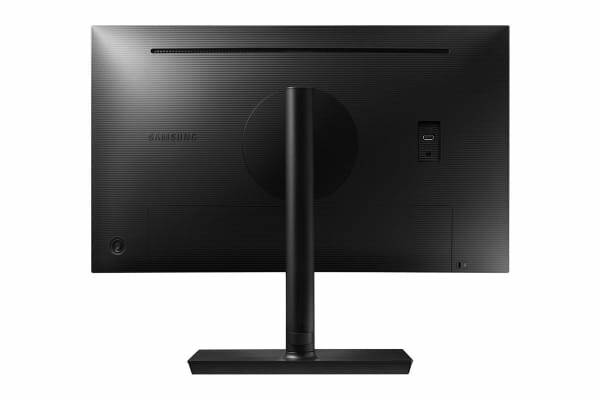 The Samsung 27” LED USB-C Monitor can be a right fit for a professional work environment. Texts are thoroughly vivid and images crystal clear with minimal colour shift, from almost any angle. 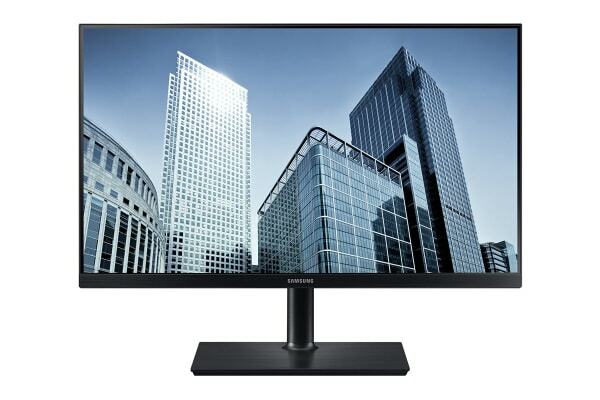 With up to 1.7 times the pixel density of Samsung Full HD, WQHD not only delivers incredibly detailed, pin-sharp images – it creates a wide workspace that lets you view extra documents and webpages onscreen with minimal need to scroll or zoom. 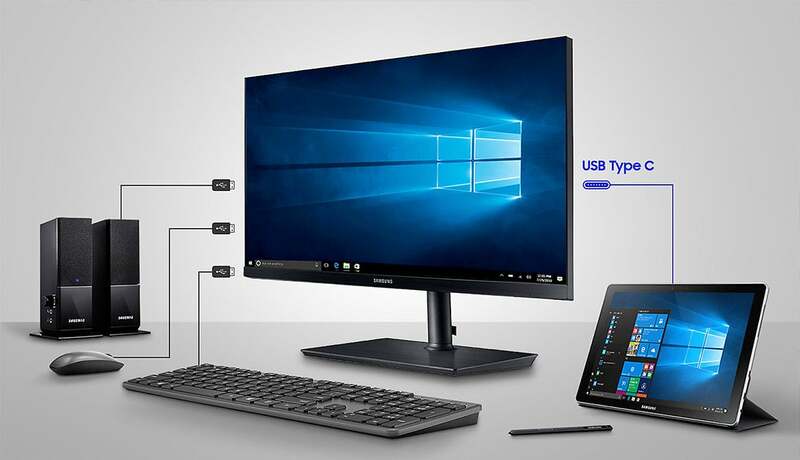 The USB type-C port enables you to power, send data and display signals between compatible devices with just a single connection. 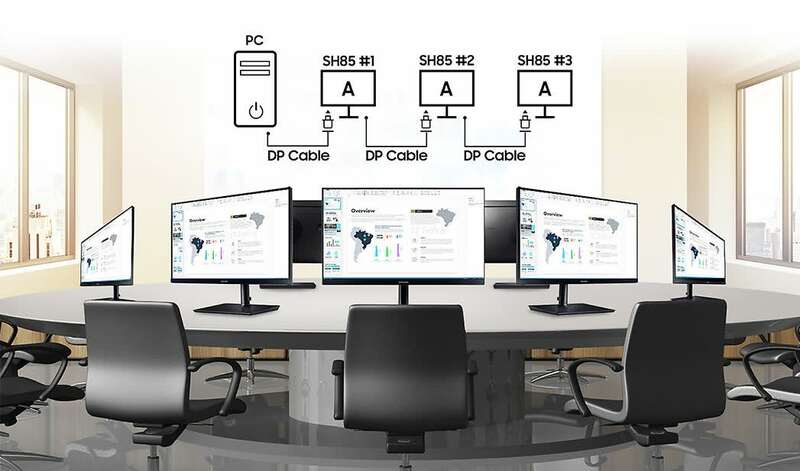 The single connection architecture enables you to create a work environment that is clutter-free, allowing for a stress-free working space. Besides a dedicated USB type-C port for any compatible computer or mobile device, you can also use your USB 3.0 ports for multiple peripherals without needing extra hubs. 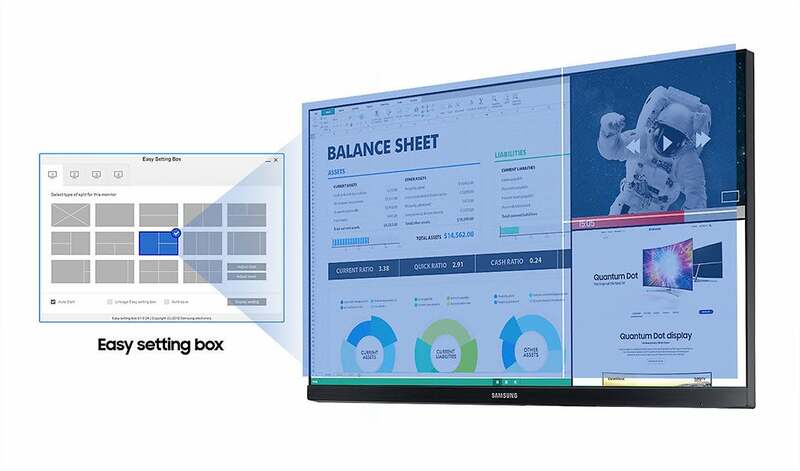 With its Easy Setting Box, you can partition your display or place multiple displays of various sizes in different positions; its Picture-by-Picture function lets you display outputs from up to two compatible devices. The function equips you to efficiently handle the challenges of your multitasking environment. The Samsung USB Type-C monitor’s daisy chain function allows extension and replication in multi-monitor settings with just a single DP cable connection. 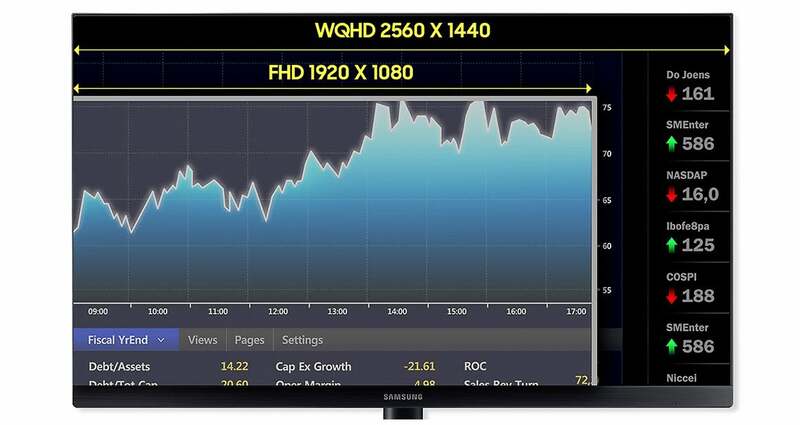 You can display its onscreen content on a second compatible monitor at the same QHD resolution. 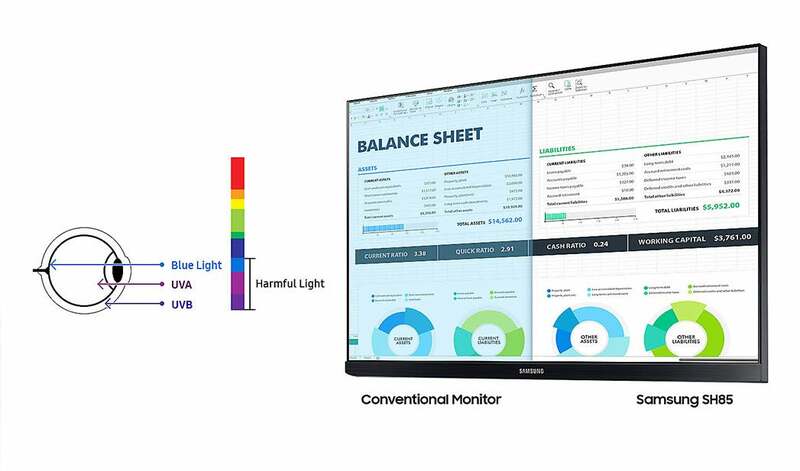 Samsung’s Eye Saver Mode is designed to reduce blue light emissions, which are known to cause damage to the retina and in turn can help minimise eye strain when working long hours. Furthermore, the Flicker Free technology offers a comfortable viewing experience. It swivels, tilts, pivots and is height-adjustable, ready to meet the needs of any usage scenario. 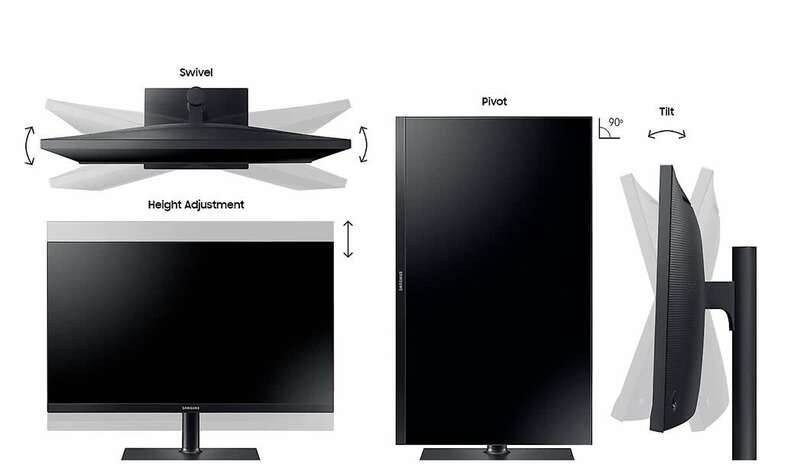 VESA – supported, it can be installed on a wall or separate arms with ease. 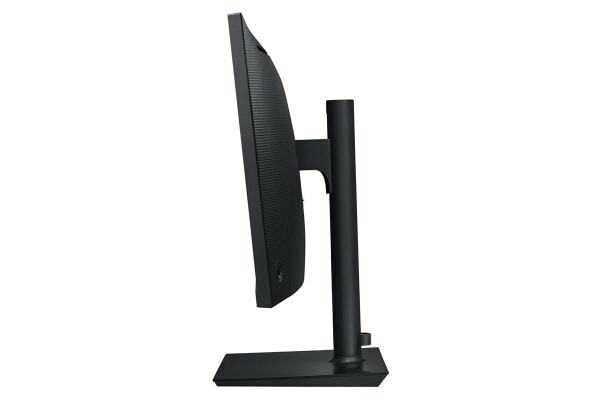 Its sleek yet sturdy build, coupled with clean back design, blends in perfectly with any office or personal space.